The only town in America 'surrounded' by the United States Marine Corps. Sited on the scenic banks of the Potomac in Prince William county, the Town is entered through the Quantico Marine base and is literally encircled by this training base's many facilities. Featuring traditional shops and a setting right out of America's past, the town is also the site of numerous special events. 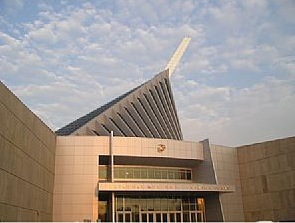 Located nearby is the newly opended National Museum of the Marine Corps. and the Quantico National Cemetery with its flag-girted Avenue of honor.